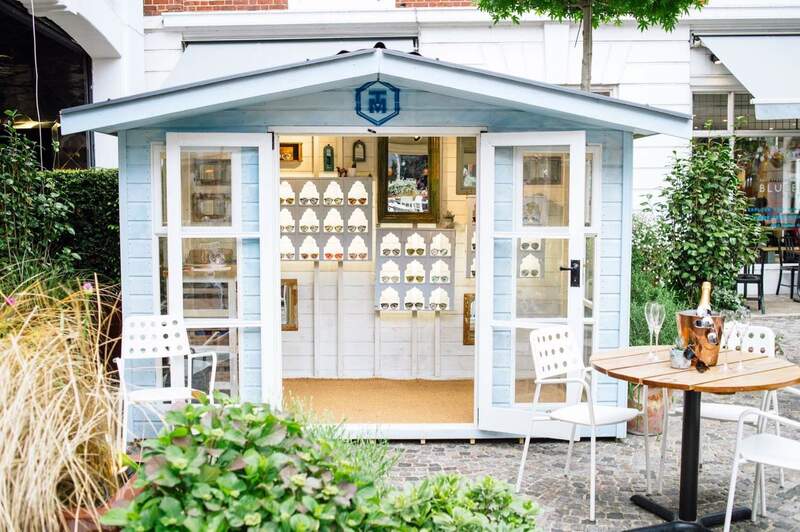 Our 9x7 garden sheds are handcrafted here in the UK, on-site at the Ace Sheds headquarters. 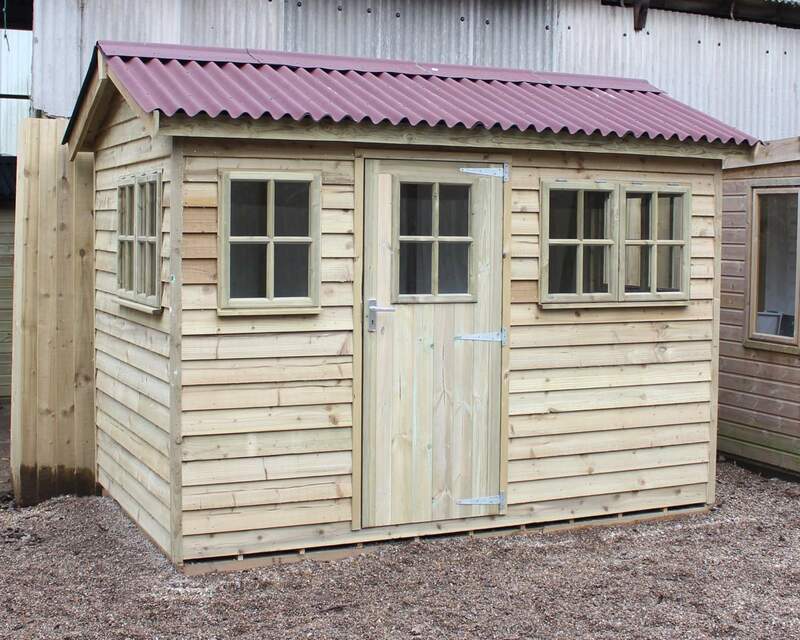 We are proud to offer UK-sourced quality garden sheds for customers across England. 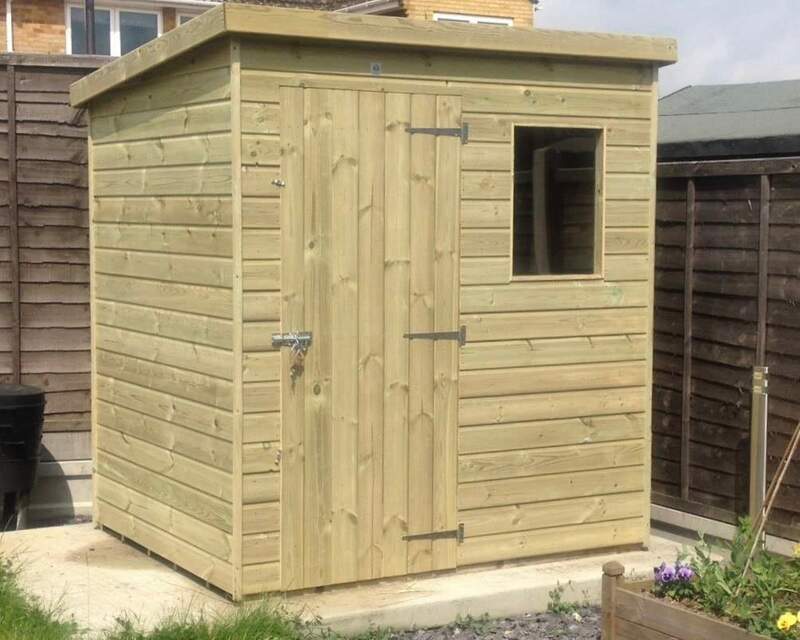 Our 9x7 sheds are manufactured using 100% pressure treated timber, made to your specifications and requirements using our simple customisation process. 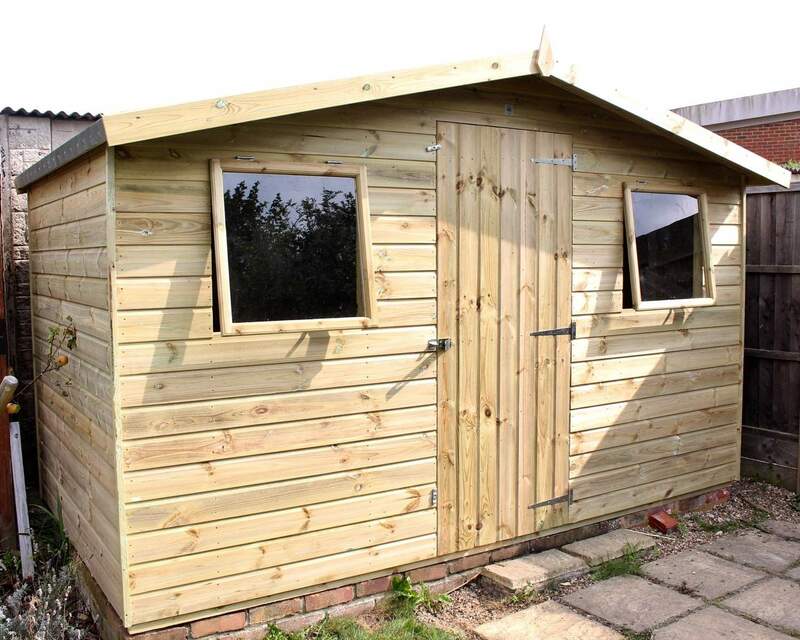 Whether you require a garden storage solution, home gym, garden office or children’s wendy house, our 9 by 7 timber sheds are suitable for a multitude of purposes. 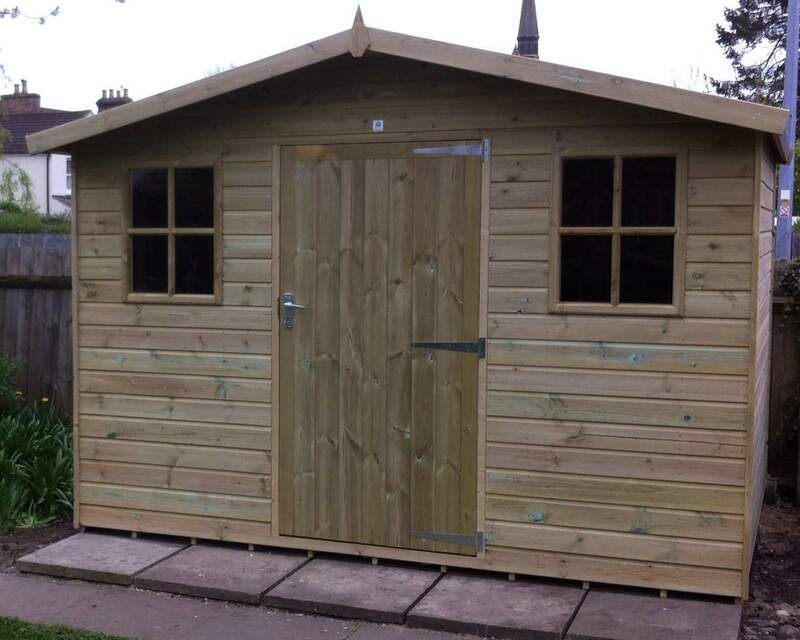 Ace Sheds was founded over 30 years ago to manufacture and supply garden sheds, summerhouses, workshops and wooden garages. 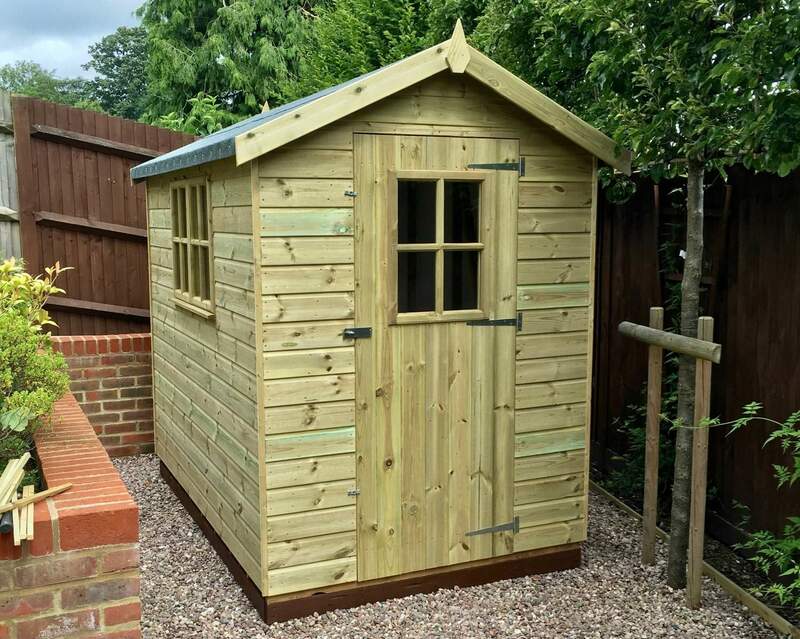 We offer premium quality garden buildings, excellent customer service, a one-of-a-kind bespoke service plus free delivery and installation across the South East. We have become one of England’s leading shed manufacturers, as supported by our Excellent rating on Trustpilot. 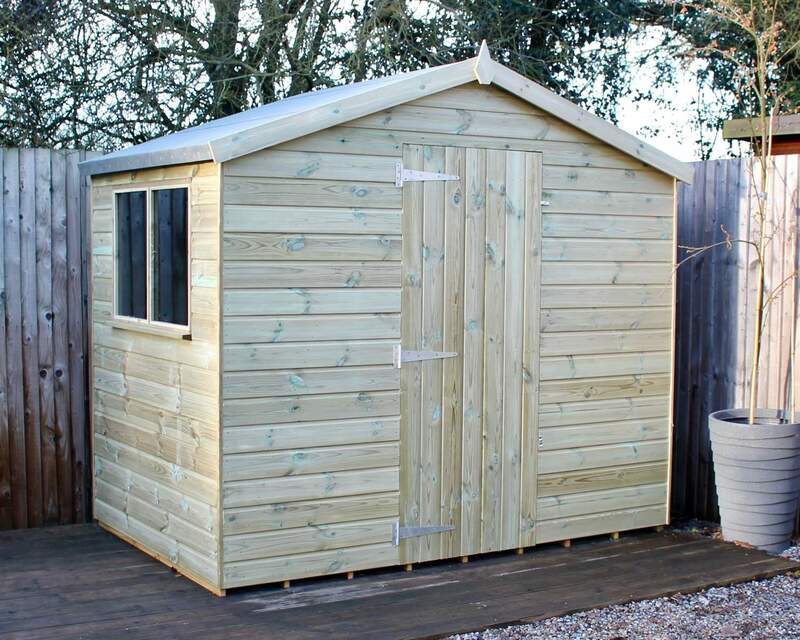 Each of our garden buildings is crafted using redwood timber sourced from reputable UK and European suppliers. 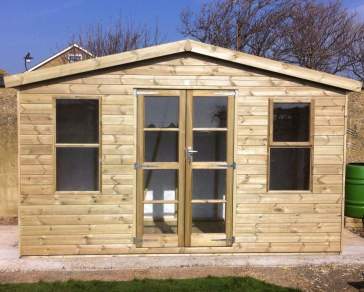 Once the timber reaches us here in Kent, our team of skilled craftsmen manufacture your 9 by 7 garden shed on-site. Our on-site workshop enables us to follow a meticulous process to ensure your timber shed is built with care, attention, and pride. What do you have in mind for your garden building? Is it a home gym, garden office, music room or simply a storage haven? 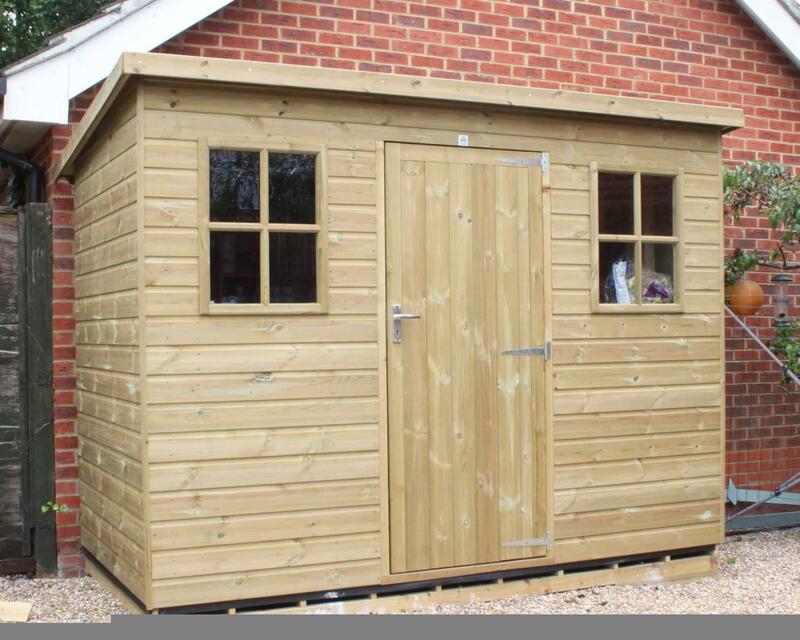 Our wooden buildings are designed to be functional spaces throughout the year; regardless of unpredictable British weather conditions, your shed will be built to last. What’s more, using a pressure treatment process and water repellent, we ensure even the hardiest of woods is protected from rot and decay. 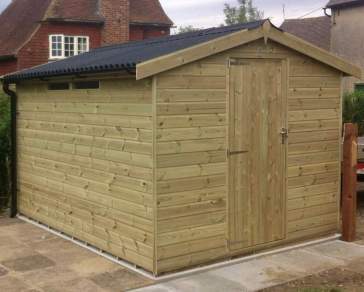 Our protection process is unique to Ace Sheds - our Tanalised E pressure treated and water repellent offers a great degree of durability, colour, and quality to maintain the robustness and attractiveness year after year. 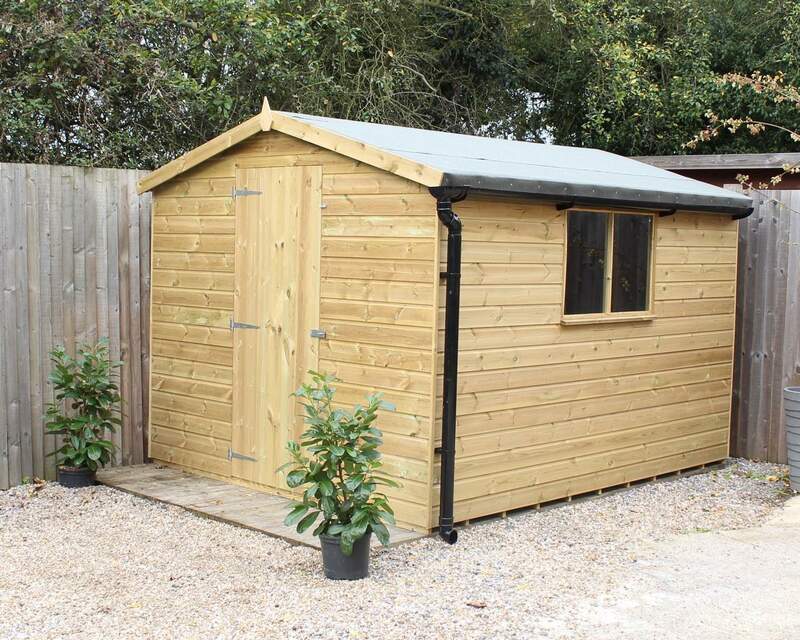 Using Tanalised E pressure treatment, your 9x7 shed will turn a pleasant honey brown colour over time to blend seamlessly into its surrounding environment. 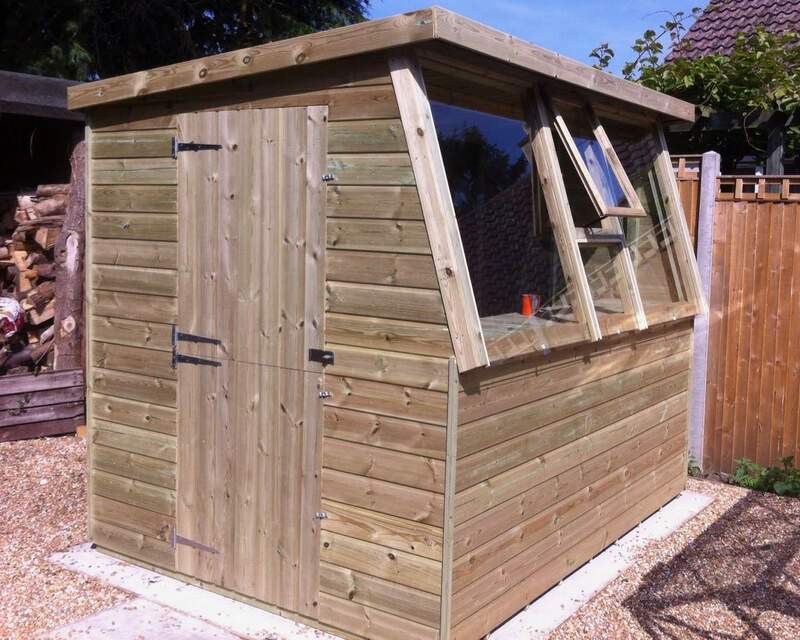 If you’re interested in painting your garden shed, please get in touch with us for advice and guidance. 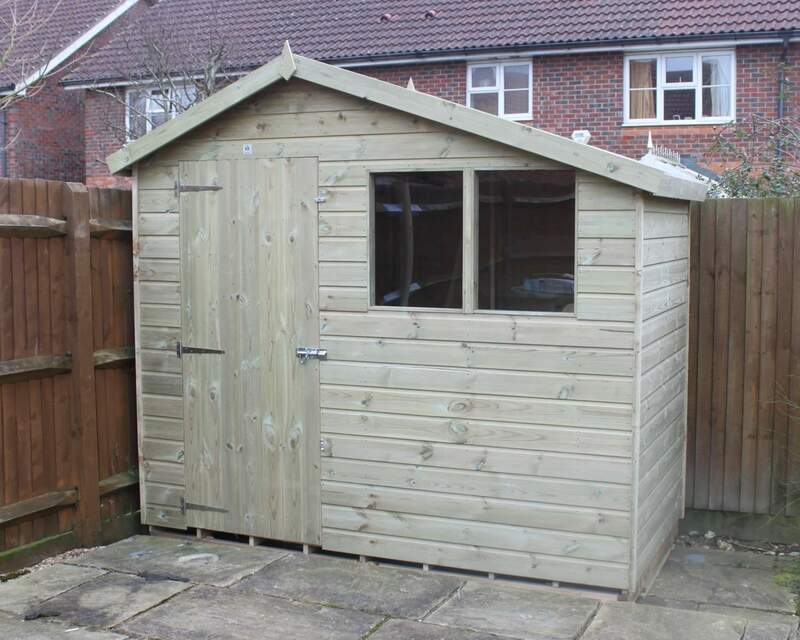 9 by 7 garden sheds can be used for a multitude of purposes or activities. 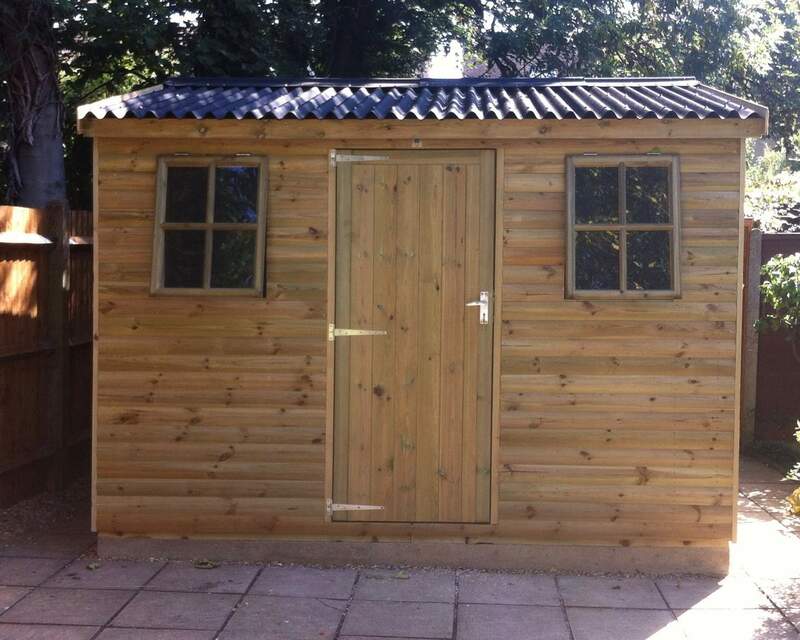 Our customisation process - which enables you to change window sizes, door positions, cladding type, frame and felt for example - will allow you to transform a garden shed suitable for your requirements. Adding windows will allow plenty of light to flood through and open up the space, whilst opting for thicker cladding and framing will enhance the durability and sustainability of your building. For inspiration, visit our customer gallery. We also offer unrivalled customer service. This includes frequent communication, regular updates plus FREE delivery and installation. To check whether you’re eligible for free delivery, please visit our delivery page. 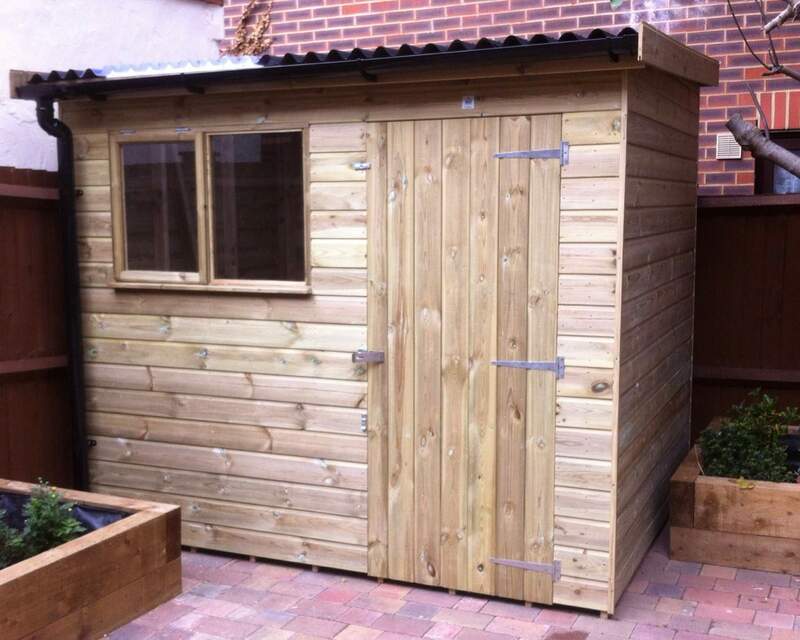 On the day of delivery, our team of experts will also erect your garden shed. 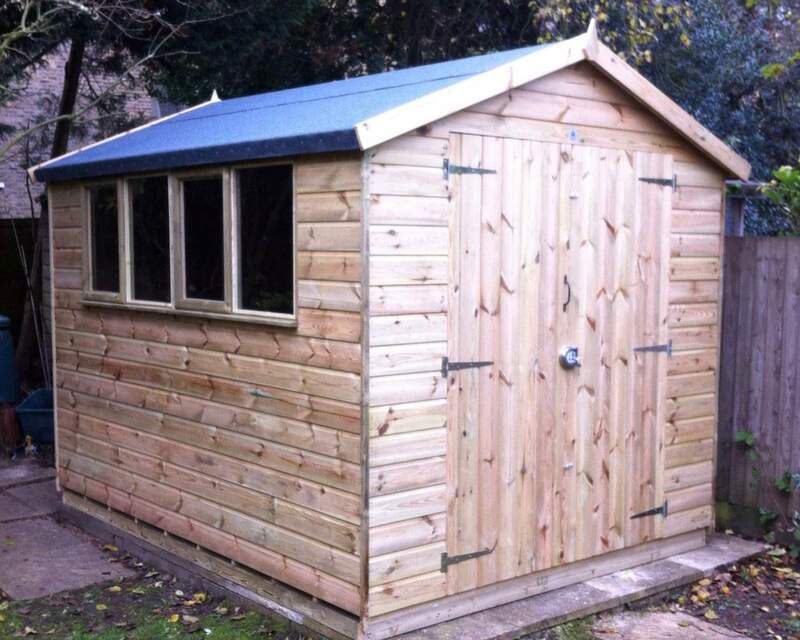 However, if you’re a DIY enthusiast or keen to have a go at installing your own shed, just let us know! If specified, we’ll be happy to deliver on a day of your choice. We understand making a decision over a big investment can be difficult, so we are always available to offer help and advice when needed. Please get in touch on 01633 822042 or contact us via our online contact form - The Ace Sheds team is happy to help! Alternatively, if you would like to see some of our sheds in action, pop into our show-site or explore our customer gallery, Please ring prior to your visit during the winter months or check our contact page for opening times.